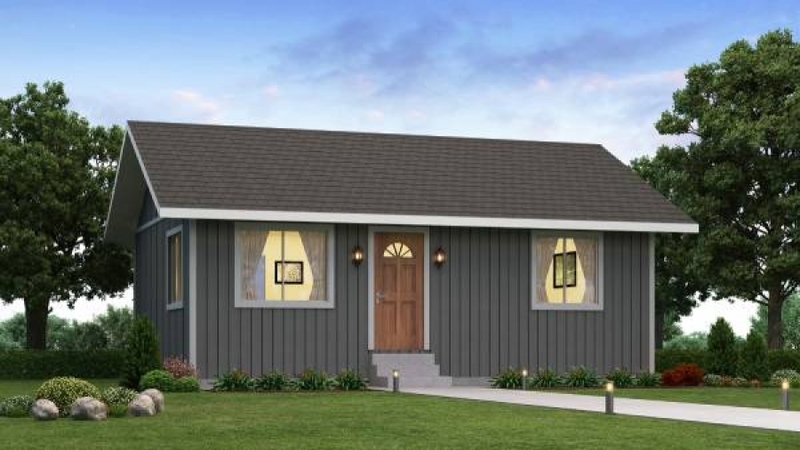 The Meadow View panelized kit home was designed to be a basic, yet very comfortable, cabin or detached in-law unit. 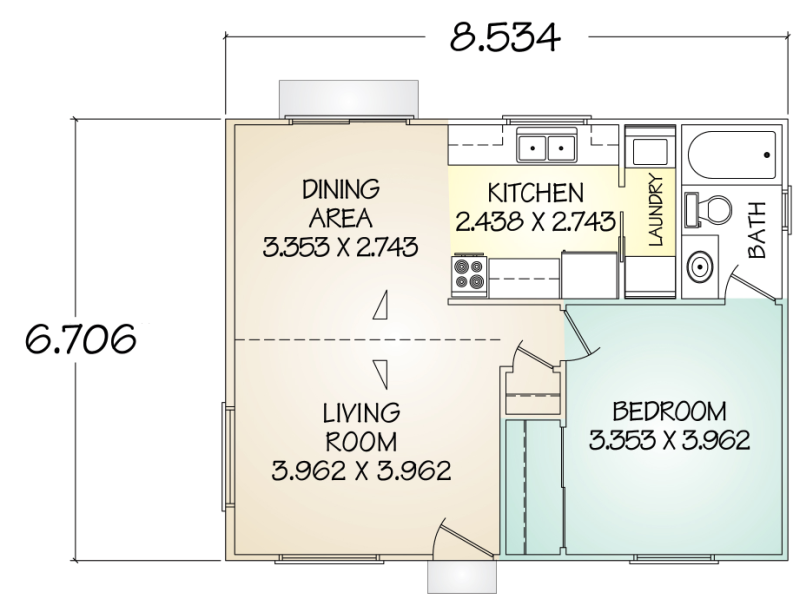 The vaulted living and dining rooms provide a feeling of far more space. 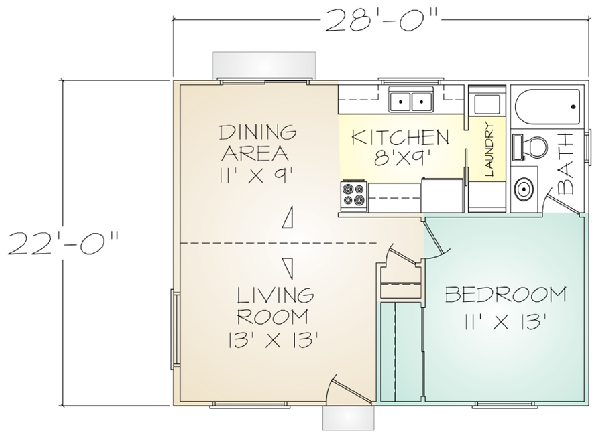 This efficient plan even includes space for a clothes washer and dryer.